The Beauty of Life: Save Money with Groupon Coupons! This is a sponsored post. All opinions are 100 percent my own. I'm going to bet you love saving money. I mean, who doesn't, right? So I'm about to let you in on a fabulous little secret ... you can save tons of money and still be ultra fashionable thanks to Groupon Coupons! The best thing about Groupon Coupons is that you can save money on SO MANY RETAILERS. It compiles all of the various coupon codes for your favorite stores and puts them together in one handy place for you to shop from! There are literally hundreds of different retailers included on Groupon Coupons, including the fabulous Blue Nile and Coldwater Creek, among many others. I love that Groupon Coupons just makes it so unbelievably easy to shop. And, yes, I know I should be shopping for others since it's the holidays, but come on ... how can I resist picking up a few little things for myself, too? This site just makes it WAY too easy! You can search for coupons based on where you live, and the site also makes it very easy since the coupons are separated in alphabetical order (which a Type A personality like myself definitely appreciates). So what are you waiting for? It's time to get shopping! 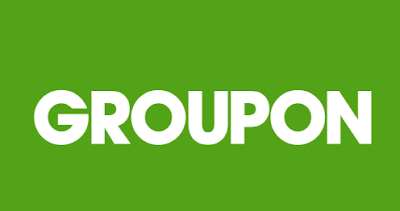 Check out all of the Groupon Coupons here. I use Groupon all the time. Just bought one for a facial, psyched! I've honestly never used or purchased from Groupon. I've had a good laugh at some of the things they offer though. I should probably check them out more. I have yet to use Groupon, but have been meaning to sign up! Thanks for the reminder! We once got a Children's Museum family membership for 1/4 of the actual cost - that was a great year! We went probably 5-6 times. Without having to worry about paying admission, paying for gas alone wasn't so bad! I recently discovered Groupon Coupons and now I love looking through them to see what's being offered. I have never actually used it! It intimidates me, haha! I snagged a very good spa deal at a luxe hotel recently thru Groupon! I need to remember to check out Groupon deals more often. I use Groupon deals for dining out at swanky places. i need to try out groupon! i've looked but never bought anything! I always hear about Groupon, but I've actually never tried it! hah, I remember Groupon! I never did use it, but I remember when it was the new hotness!